The time for change is now. It is never tomorrow. It is never “on Monday”, it is never “when I get the next paycheck”. The time for change is always now. When we get the intuitive lead for change, the time to act is right at this very moment. Waiting is always a bad idea. Maybe the easiest way to that change is happening right now and if you jump in, it will make itself known. Possibly the universe is making a suggestion and waiting for your wholehearted acceptance before it tosses every available help it has in your direction. The thing is: Do it Now. Get the desire to be in better shape? Go for a walk. Sign up at a gym. Take a hike up a nearby mountain. Join a swimming group. Take horse riding lessons. Want to lose weight? There are two ways to go about that and they both can work. 2 days until the Summer of Change starts. On April 30th, I will post what the Summer of Change is all about, what you can expect, and hopefully kick it off with a bang. Then every five days from May 1 through the end of August, you will receive a new lesson along with 7 extras dotted throughout the summer. Every lesson is simple, free, and from me to you. There is no sign up, no cost, nothing except lessons that I hope will help you make the this the summer you change your life in an amazing way. Do the lessons that resonate within you. If some lessons don't pull you, pass them by for now. You can always come back and review them later. Join our Facebook group to talk with and get to know your fellow Summer of Change participants. Follow the blog to be reminded of when new lessons are posted. And most of all? Have fun! This is meant to be an enjoyable way for you to change your life. May Summer 2014 be your best summer yet. 4 days until the Summer of Change starts. Are you ready? 32 simple lessons to help you make this the summer where you start living your best life. 32 simple, free lessons from me to you. Join our Facebook group so that you can interact with your fellow students. I invite you to join the Summer of Change. 7 days until Summer of Change starts. Are you ready? I am very excited about this. It isn't your normal 'course'. There is no sign-up, no money involved, no giving up of any information. It is my gift to you. Or, more to the point what I felt compelled to share with you. Every five days starting May 1 through the end of August, a new lesson will post. They are short, simple ways to begin to change your life for the better. There will also be 7 extras throughout the course. If you want to know the exact amount, that's 32 lessons from me to you. I welcome you to join the Facebook group where you can discuss lessons if you would like and get to know other people who are participating. Above all, make the goal to make this the summer of change, whether it be through this course or just in your own life. For the time is now to make your life more amazing than anyone ever imagined. You are going to have bad moments every once in awhile. It's going to happen. Don't beat yourself up about it. Recognize your feelings, appreciate them for what they are, and when you are able to - find your belief and travel upward again. At the beginning, one bad thought isn't going to hurt you. If you persist in negative thoughts, then you are fighting against the wind, but I think it more likely that you may expect yourself to do it perfectly the first time. And you may find that you did. The first thing you worked for came through quickly and effortlessly just like you read about. But the second? Is a struggle. And you begin to doubt. Okay, I'm going to say something shocking. Hanging out with all the people who are sharing fantastic stories of how people brought to them their fondest dreams might be sabotaging your goals. Now, before you scream and run off into the night, let me explain why. I am part of a few groups on Facebook and elsewhere that I will admit I don't attend very often. Why? Because the energy is good, BUT, people tend to post 1 of 2 things - total disbelief, or stories wherein a person had never heard of this before, put one hint to work, and BAM! Days or less than a month later, they've got their million dollars or their spouse, or their house. Now, at first when you are trying to learn, that's exciting stuff! And don't get me wrong - that's GOOD! You should hear how people used these teachings to make the lives they've always dreamed of. Can you Expect and Know at the same time? I don't know about you, but at times I can be a very literal person. If someone tells me to 'know' something has happened, to 'act' like something has happened, I'm on it. And then...someone else ads the word 'expect'. Anyone else freak out when that happens? It's taken me a little time to break things down and consider how both of those things can live simultaneously and still bring about one's chosen result. So, let's start with definitions (I got these from Merriam-Webster): And yes, there are more definitions than these, but I think these specific definitions help us to understand how both work together to bring about our dreams and goals. Summer of Change is coming! Find yourself desiring a more positive, more 'on track' you? Good for you! 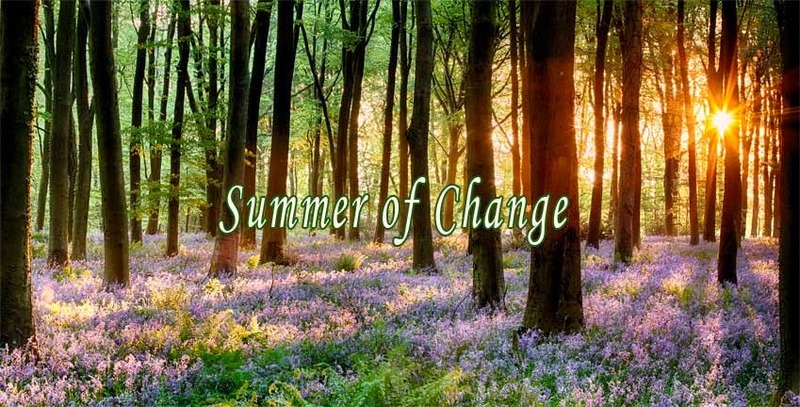 Join me this summer for my Summer of Change series. Every five days starting May 1, I will post a small thing you can do to up that positive vibration and work your way closer to who you are inside. Not to mention, gaining the goals you have. Did I mention it's totally free and on the blog? Yay! More information coming April 30th! Let’s discuss Love. This is going to be a short post as what can someone actually say about the word Love? I’m sure you are immediately thinking of a whole mess of things that would define the word. But guess what? That’s your definition. Not one word in any language will mean the exact same thing to two people. Sorry. It’s true. Unless you want to grab Webster’s dictionary and go by the letter of ‘their’ dictionary definition and force everyone to use the same one, you are out of luck on this one. Because if you then go to Oxford’s definition, you might have to duke it out. You may still be shaking your head thinking this girl’s off her rocker. Well, you might be right. Then again, maybe not. This part of this four-part series is not easy to talk about. Not because it is embarrassing or bad or anything we as humans would not normally talk about. But because it is so good. Have you ever felt so loved that you burst into tears? Have you ever been 'home' and I'm not talking about to your house but to the place of never-ending love that resonates around you? Have you ever talked to the divine? I am fighting myself on writing this even now. It feels so egocentric to talk about and yet that is not where I'm coming from. My entire reason for writing this series was to share with you the amazing turns my life is taking. This is my journey, not yours, but maybe there is something here that will help you. That is my wish and my reason for sharing. As we work harder to embrace the spiritual side of ourselves, we may feel confusion set in. On the one hand, we are told over and over again that we are here to be happy and that we should gain that which we want. "All right. What kind of car?" "And why do you want the car?" "I don't know." Or they might say, "I've always wanted one." "And how will you feel when you get the car?" I've always doubted my intuition because I would follow something I thought was right and it would crash and burn. Looking back, I understand why - because I would follow the intuition and then would spend my time panicking thinking "what will I do if [insert chosen goal here] doesn't work out?" Yeah, concentrating on what you want NOT happening is definitely not the way to receive it. So I am learning. And one of the things I am learning most? Is to trust that Divine Mind knows what it's doing. It isn't easy - I want to help. *grins* Me, a simple little human wants to help the divine. Go ahead. Laugh. I do whenever I think about it. Seriously. Divine Mind can do a lot more than I can and a lot quicker. So I'm learning to do my part - think, imagine, know, expect. And then...to follow Divine Mind's communique's. Which currently reads "Do nothing." Teachers are just teachers. They can only tell you how something works for them. That does not mean it will work for you. They tell us that I-AM, aka Divine Mind, aka the universe, aka God, is a non-thinking, perfectly reactive part of our mind - our human imagination. They tell us that what we wish for is already on our path. They also tell us that Divine Mind has no judgment. Given that, then why do bad things happen instantly and good things take time? Well, the first reason might be that we have been in a negative frame of mind for a long time so Divine Mind is used to the negative state and reacts easily to it. The second reason might be that negative emotion is stronger than positive emotion?